During her rare visit to National Assembly Speaker Chung Sye-kyun, Park called on the legislature to recommend a new premier candidate, who she said will "control" the Cabinet as demanded by opposition parties. "I came to meet the speaker as it is (my) great responsibility to normalize state affairs," she told Chung during their meeting that lasted only for some 10 minutes amid a rally by opposition lawmakers clamoring for her resignation. "If the National Assembly recommends a new premier, I will appoint him and let him control the Cabinet." Later in the day, Chung plans to hold a meeting with the floor leaders of the three major parties, including the ruling Saenuri Party, to discuss the nomination of a new prime minister. On Wednesday, Park tapped Kim Byong-joon, chief policy advisor to the late liberal President Roh Moo-hyun, as new prime minister in a government reshuffle aimed at placating escalating public anger over the political scandal involving Park. The surprise designation came without consulting political parties, drawing intense criticism from opposition parties, which have demanded that a new premier be picked based on bipartisan agreement. During his talks with Park, Chung urged the president to "uphold public opinion" in her efforts to find a way out of the current political crisis. "The crisis facing the president is a crisis in state governance and a crisis of the nation as a whole, and thus people are very worried," Chung told Park. 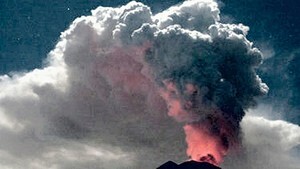 "Therefore, what is most important is placating public concerns," he added. The embattled president, then, urged the legislature to muster up efforts to overcome economic challenges, pointing to sluggish exports and the fallout from the ongoing restructuring of the shipbuilding and shipping industries. 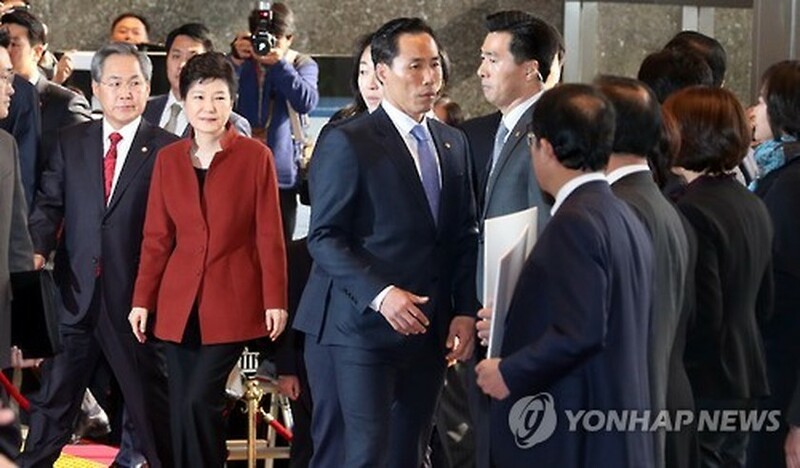 In the wake of the unprecedented scandal, opposition parties, as well as some ruling party members, have pressured Park to take a back seat in state affairs and delegate her executive power to a "neutral" Cabinet formed based on bipartisan agreement. To address the political deadlock, Park on Friday proposed holding talks with the heads of ruling and opposition parties. But opposition parties rejected the proposal, demanding Park first cancel her premier nomination and agree to the creation of a bipartisan Cabinet. At the center of the scandal is Choi Soon-sil, who has been accused of abusing her longtime friendship with the president to meddle in state affairs and gain financially. The scandal has sent her approval ratings plummeting and left state governance in disarray, with her detractors calling for her to step aside.